Quite often it happens what we bump into audio formats we aren't familiar with. Our friends share files on the web, we download music or buy songs unknown high-quality audio formats. One of such rare audio formats is M4A – MPEG for Audio. It was supposed to be a better-quality MP3 successor, but the rising popularity of AAC – Advanced Audio Codec – never let it happen. M4A remains a popular format, but many inexperienced users tend to convert M4A to MP3 just because they don't know what M4A is. If you're reading this article, you must that there lots of audio formats out there. Most of them are compressed audio files. To put it simply, when a song is recorded, audio engineers use special compression tools to make the file smaller. After this, it's easier to distribute thus sell such files. M4A and MP3 are lossy audio formats. Their size is so small because lossy files lose some audio data during the compression process, and for that reason, they don't sound great. Format conversion is a common thing. It's always easier to convert unfamiliar formats to more familiar ones, rather than find software that can open such files. The problem with converting M4A to MP3 is that both formats are lossy. They are already poor versions of the original audio file. Still, converting M4A to MP3 isn't a rare phenomenon as many users just don't know that digital audio doesn't boil down to MP3 and FLAC. Well, as long as there's a need for converting M4A to MP3 there will be corresponding services. So here I'll provide you with three main tools to do so. I'm not talking about any particular one. 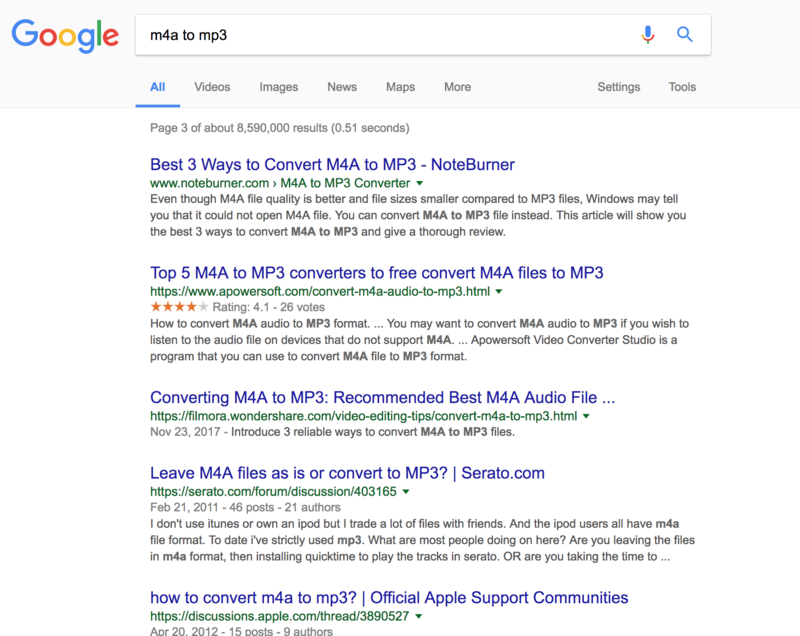 What you need to do is to google 'm4a to mp3'. You'll see a considerable number of links with pretty much the same set of tools. Usually, you just select some files from your computer, give it a few minutes and download converted MP3s. Simple as that. The key reason why you shouldn't convert M4A to MP3 is that most M4A files result from lossy compression meaning that the audio is of low-quality. Converting them to MP3 will aggravate the sound quality even more. Not cool, dude, not cool. The action plan is quite similar to the previous one. Google what you need, download a soft and go ahead. What is better about this option is that you can convert an entire folder of M4As to MP3. It'd take less time, but you'll still ruin the sound quality. Actually, you can't convert any audio file to MP3 and expect no deterioration in quality. And again, there are so many tools for audio conversion that it makes no sense to recommend a particular one, any will do. VOX Music Player is an audio player for Mac & iPhone that can play most audio formats you know (and don't know) thus eliminating the need to convert M4A to MP3. Whatever you play with VOX remains its original quality – FLAC remains FLAC, M4A remains M4A. 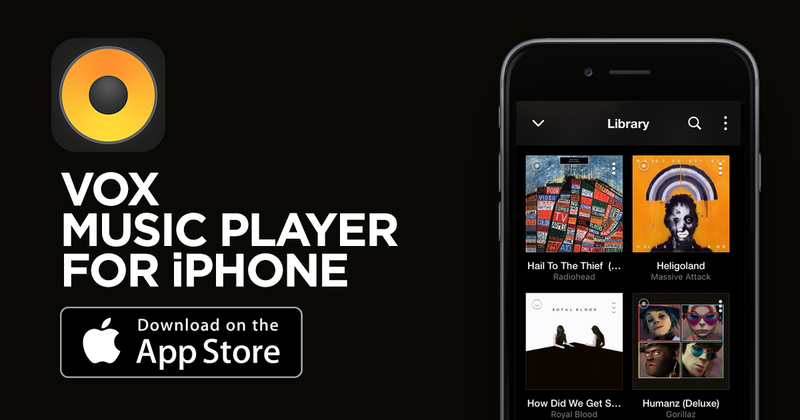 The player is a real blessing for audiophiles and music lovers. VOX is packed with lots of advanced audio features (BS2B, Equalizer, Hog Mode, Stereo-to-Multiple, etc. ), has a cloud storage for all your Hi-Res music, syncs your iPhone and Mac music libraries, includes 30,000 radio stations and much more. You can be sure that whatever audio format you stumble across on the Internet you can play using VOX Music Player. What makes VOX Music Player different from other audio players is that the emphasis is on the playback, and only. The interface includes sections that are essential for listening, and it doesn't use large fonts and dull spacing. One of crucial VOX features is the unlimited music cloud storage. It's an exclusive cloud storage only for VOX Premium users. Its main purpose is to store and stream your music. What differs it from other music lockers is that VOX Storage has no restrictions on audio formats and files' size. You can upload there as much music as you wish. The best part is that unlike other storages VOX Cloud won't convert anything to MP3 or any other lossy format. Hi-Res retains Hi-Res.